What is the recommended footwear to make the Camino? What footwear should I take to the Camino? Boots or slippers? Do I buy new ones? These are some of the typical questions that assail us once we have decided to embark on the adventure of pilgrimage to Santiago de Compostela. Stone paths, inclement weather and, above all, long walks are some of the characteristics that we will find along the way, that is why it is very important to dress by the feet with a suitable footwear that will accompany us during all the stages. 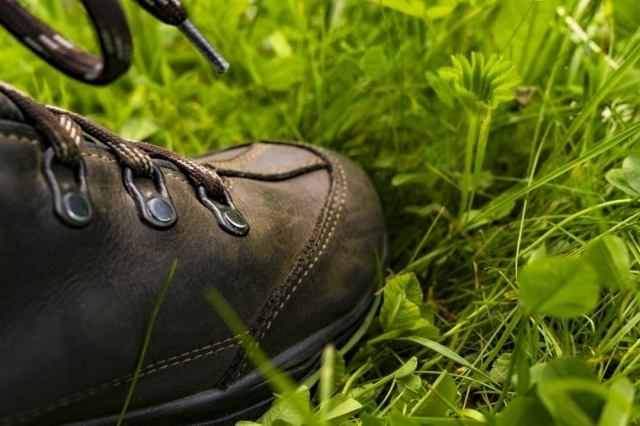 Undoubtedly, mountain or trekking boots are the ones that will fulfill all the needs of a pilgrim. It is preferable to use medium or low cane for greater mobility and take into account that they are made of breathable and lightweight materials. There are websites like Campz that facilitate the search of this type of footwear, being able to filter by materials, manufacturers, sole, price and opinions of other users. A variant is the light hiking or trail running shoes, an option for which quite a lot of pilgrims have decided lately. Of course, it is very important not to confuse this type of shoes with sports shoes. The latter are ideal as extra footwear, to walk through the city after the stage, but if they are used for the walk they will end up destroying our feet as well as giving us the feeling that the stones are stuck in the plants. Another trend, especially in summer and spring, are sandals. They are cooler and, although sometimes it will be necessary to stop to remove some rebellious stone that goes through a nook, adapt anatomically to the foot and have a sole as robust as the completely closed footwear. This is the one million question. And as in many aspects of life, equilibrium is at the middle point. 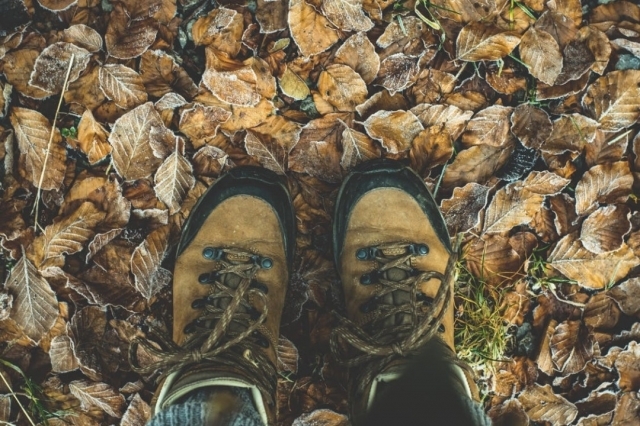 It is not advisable, much less to release boots or sneakers the same day that one begins to do the Camino de Santiago, which does not mean that it is prohibited to release. What is convenient is to try the footwear several days before to confirm that it fits and that it is comfortable. If we choose to wear shoes that we already have, it is recommended to check the condition of the sole by pressing the front and back inside. If those parts are softer than the sides, it is best to opt for other boots in better condition. It is very important to carry, in addition to the main one, at least one extra footwear such as slippers or sandals. After the long walk that the pilgrim will do every day the feet will need to rest from that footwear, so it is highly recommended to wear a more open or loose to give respite to our feet in the hours after the stage and at night. Many times it is not important, but socks are as basic as good footwear. They must be breathable, so that the moisture does not soften the skin, and without seams. Lately they have become famous the socks antiampollas, that thanks to his double layer is obtained greater drainage of the sweat and keep the dry feet, an essential aspect at the time of avoiding blisters. If we have reached that point, it is necessary to be proactive and be provided with a protector of chafing and blisters that will save the pilgrims from many troubles between kilometer and kilometer.